Some will argue this is why you have to draft Craig Kimbrel or Glen Perkins, but this is exactly why we don't value closers in the draft. 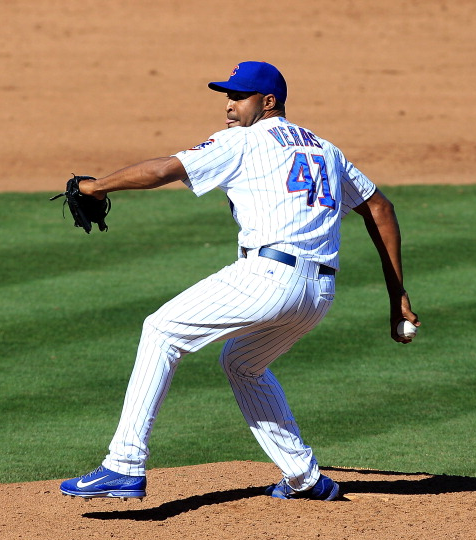 The Chicago Cubs have removed Jose Veras from the closer role after blowing 2 saves. Veras has made 4 appearances, lasting 3.2 innings and has walked 7 batters and allowed 5 earned runs on just 2 hits and none of them have been home runs. Rondon earned the save last night, and looks like he will get first dibs at closing games for the Cubbies moving forward. He is just 25 years old, made 51 career appearances and has 53 strikeouts in 61.2 innings pitched.